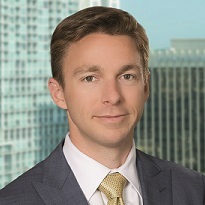 Chris Carmody earned his certification as a Designated Professional Lobbyist from the Florida Association of Professional Lobbyists and is an attorney admitted to practice in all Florida state courts. He has substantial experience handling government relations matters, including representation before the Florida legislative and executive branches, purchasing and procurement appeals, and professional licensing. Carmody’s clients range from small cities to Fortune 500 companies, and his experience runs the gamut of state-level needs and issues, from the passing of landmark legislation to proficiency on the appropriations process. Carmody also practices in litigation, land use, construction and sports law. His practice includes obtaining state and local government regulatory approvals as well as matters related to the acquisition, development and utilization of real property. He has represented contractors, engineers, architects, developers, owners, subcontractors, and suppliers in issues relating to land use and construction law. Carmody provides legal work to the Central Florida Sports Commission and has handled numerous high-level sports matters at the legislative level, including tax exemptions, workers' compensation and other matters that affect sports franchises. Carmody was born and raised in Orlando and graduated from Bishop Moore Catholic High School in 1998. Four years later, he received his undergraduate degree in political science from the University of Florida, with a minor in human nutrition. While attending UF, Carmody was active in student government and regularly attended Gators football and basketball games. In 2005, Chris graduated from the University of Florida’s Levin College of Law. During law school, Chris interned at the Florida Supreme Court for The Honorable Raoul G. Cantero. He also researched under Dean Jon Mills in the Center for Governmental Responsibility. He was a member of the Justice Campbell Thornal Moot Court Board and in his final semester served as president.